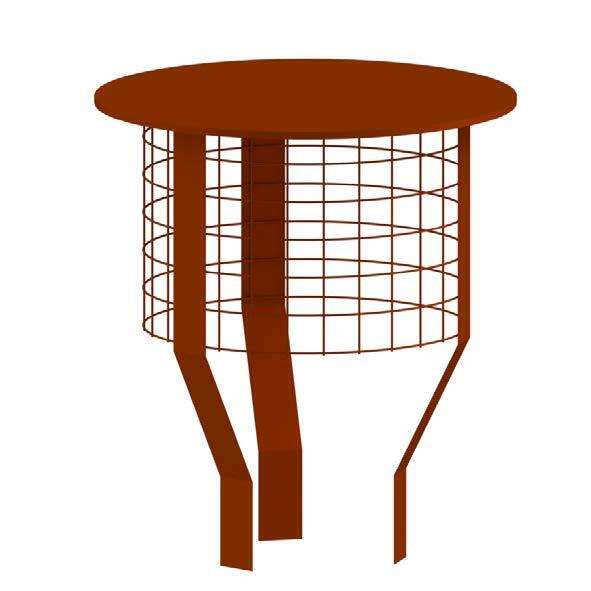 The Stainless Steel Birdguard with base is designed to prevent bird, leaf or vermin entry whilst also helping to prevent rain entry. It is made from 1mm thick stainless steel with 25mm square mesh and the 'Birdguard' fits onto chimney pots up to 250mm or over a pot hanger. Available from stock in Stainless Steel and powder coated finishes. Contact your area rep or the sales office (0333 456 8000) today to find out about our special offer. Offer valid until the end of June 2016 or whilst stocks last.